If you are a busy manager, building owner or body corporate member, hassles with fire protection and compliance are the last thing you need. That is where Gielle can help. 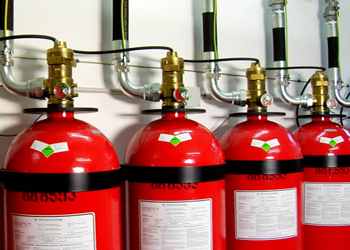 We offer affordable end-to-end fire protection services with unmatched levels of personal service and attention to detail to achieve your compliance requirements. We take the hassle out of fire protection with total solutions and expert advice, so you can stop worrying and get on with doing what you do best. Having serviced and functional fire equipment on hand when and where you need it can mean the difference between a minor incident and a devastating full scale fire. 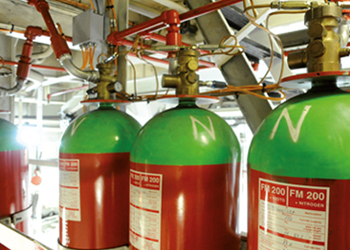 Gielle offers a comprehensive range of quality fire protection solutions including fire doors, fire detection alarms, sprinkler systems, hose reels, extinguishers, exit lighting and more. Our solutions are thoroughly tested and assured. Fire can occur almost anywhere in any kind of facility, but the key to minimising the risk is to prevent fires starting in the first place, and stop them spreading if they do. Combining fire doors and frames with passive fire solutions, such as fire rated glazing systems and fire rated ceilings, helps minimise the spread of harmful flames, hot gases and smoke throughout your facility. For more information please visit our Passive Fire Products section. Our fire detection systems provide very early detection of even slow smouldering fires and can be configured to detect carbon monoxide (CO), smoke and heat. Sensitive analytic tools mean early detection that is critical in a residential environment. For more information please visit our Alarm and Evacuation section. Sprinkler systems can automatically detect a fire, transmit an alarm and control the fire. This can be the difference between a minor accident and a major business shutdown. Led by professional project managers, Gielle’s engineers design, install and commission reliable, cost-effective sprinkler systems by carefully analysing your facility or site in terms of occupancy, operation and fire risk. For more information please visit our Fire Sprinkler Systems section. Fire, bomb threats and explosions, gas leaks and earthquakes. Would you know what to do if any of these emergencies occurred in the next 10 seconds? 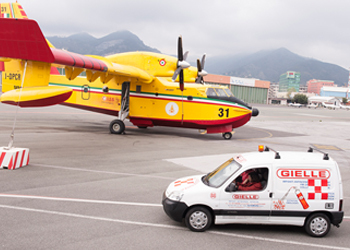 Gielle’s range of fire safety training and emergency training courses give your occupants the skills and confidence to make the right decisions and act quickly in the event of a fire. Gielle is a Registered Training Organisation (RTO) with certified trainers who can confidently guide your occupants through practical theory, and unforgettable hands-on, learning experiences. For more information please visit our Fire Safety Training section.